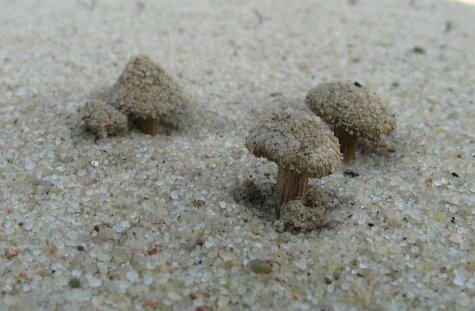 These modest-looking mushrooms were photographed on Hiiumaa, in the strange open sands of Pihla-Kaibaldi, a kingdom of ants and antlions. Inocybe impexa grows and draws its energy as if from nowhere. To the ants they must seem like monuments in a Sahara desert.